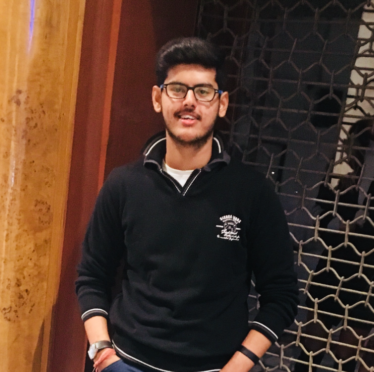 About the Author: Saksham Tyagi is pursuing B.Tech in Information Technology from Galgotia College of Engineering and Technology. He joined Internshala Trainings for web development training and landed a job at Wipro afterwards. While looking for summer internships in computer science, I realised that I needed to have proficiency in at least one domain of the subject. That’s when I decided to do an online training in web development since I was interested in pursuing a career in UI/UX development. I came across Internshala Trainings and went through the content of their web development training. It further piqued my interest, and I enrolled in it. The training was divided into 4 modules, and each module had a few short videos explaining various concepts. The first module was about frontend development wherein I learnt to create and style web pages using HTML and CSS respectively in order to make them user-friendly and attractive. I used various HTML tags for inserting images, tables, and hyperlinks and learnt to create forms in a webpage. Next module was about making websites responsive to different devices using Bootstrap. I learnt to write SQL queries for creating, managing, and modifying a database in the third module. There was an introduction to Data Definition Language and Data Manipulation Language in which I learnt to create tables and select, insert, and update the existing records in a database respectively. The last module was on PHP where I learnt to perform operations on a database, to create functions, arrays, and strings, and to manipulate them using various commands. All in all, I learnt how to develop a website from scratch, add styles to it, make it responsive and dynamic, and interact with the database. I also got to know about integrated development environments such as NetBeans and WampServer that are used to implement these languages and frameworks. There were assignments and quizzes at the end of each module to evaluate how much I had learnt. There was a live chat option and a Q&A forum where I could post my doubts or queries if I got stuck anywhere. After completing the training, I started looking for web development internships and applied for a UI/UX design and development internship at Noteshub. I sent my resume to the HR manager and got shortlisted for an interview with them. The interviewer evaluated me on the basis of my knowledge of web development and asked me various conceptual questions such as ‘What are media queries?’, ‘What is the difference between id selector and class selector?’, etc. During my internship, I designed and developed the user interface of the website and built marketing strategies in order to create awareness about the startup. I used Guerilla marketing and soon enough, their Android app got 10,000+ downloads. I applied to a job at Wipro after completing the internship through the college placement cell. The selection process involved an online aptitude test and a coding test followed by a technical interview and an HR interview. In the technical interview, I was asked about various concepts of web development, and thanks to the online training, I was able to answer all their questions related to HTML, CSS, responsive websites, and databases with utmost ease and confidence. Some of the concepts I was questioned about were the methods of CSS styling, HTML selectors, breakpoints, and glyphicon in Bootstrap. The experience I gained in my internship gave me an edge in the interview, and I got hired as a web developer at Wipro. I’ll be joining there this summer after my final semester exams are over. Saksham’s review of Internshala’s Web Development training looks exciting, right? Do you also wish to learn the ropes of web development? Then, enroll in Internshala Web Development Training at an additional discount of 10% today! Thanks to the author for sharing his story. It is encouraging for us to see how improving and working on yourself can lead to such wonderful results. Great job by the student and by Internshala as well for providing students with such a platform. Thanks for Sharing your experience with us. You Guys Motivate Others to do work for goals. Great.i really liked it. such an informative post. hello dear, your hard work is really appreciable. When you have the determination to learn you will really get the job that you want. Great blog by the way and thanks for sharing this amazing story! Just try to match the strings at the right place and at the right time. Nice information shared on your experiences in Online Training….. I didn’t play a high priority in any Online course but your story inspired me a lot to take any professional course to get a good job. Thanks for sharing This Helpful Article. I’m doing Digital Marketing can I start Web development.